Top 10 useful phrases to use other than 'Just approve my code promotion request'. 10. I'm doing the Lord's work. 9. I am the only SME / approval authority / (insert real smart label here), and I approve. 8. Because users know who I am and will burn my playhouse down if this doesn't get deployed ASAP. 7. The Sales guy said this was supposed to be in requirements because it was discussed on the golf course three years ago with the client, the CIO grunted which the client interpreted as an approval, and the client is upset that it's not in prod. 6. Risk assessment? We risk the website crashing unless this gets done. Management has determined delays in code promotion requests are affecting productivity and revenue. I hear they are looking very carefully at people who deny or delay requests. We're excited to announce the launch of our Webroot Certification Program. The Webroot Certification Program covers key feature differentiators, deployment best practices, cybersecurity management, and basic troubleshooting techniques for SecureAnywhere® Business Endpoint Protection. The program enables the sales and technical teams at managed service providers (MSPs), value-added resellers (VARs), and other distributor partners to better sell and support the solution, as well as streamline and enhance their IT services business. 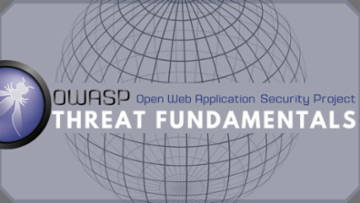 Get certified by signing up here. Here's the issue: I've got three columns of data: Individual, Amount Sold, Date Sold. People have multiple sales for each given date. I want to find each person's best night, i.e. all the sales for each given date combined for that date, and then I'd like to see the max for each individual, so I can show them their best night. I can do this by creating a new sheet with three columns, one containing every date from 1/1/17 to 12/31/17, the next containing the name of a single person, and the third containing a SUMIF formula, so that I have the sum of each person's sales for each day, and then take the MAX from that column. I am sure, however, that there is a better way. A PivotTable seems to only give me the largest single sale from each individual, instead of the night with the largest sale. What's the simpler solution here? Hi Cory, welcome to Experts Exchange. What you have done is made a post here. To get expert help, you need to "Ask a Question" so that more experts are able to see you need help. Click the Big blue button near the top of your screen. The following link explains more about asking for help at Experts Exchange.. It's always exciting around here! We're thrilled to expand our partnership with ConnectWise to offer customers better protection and performance. 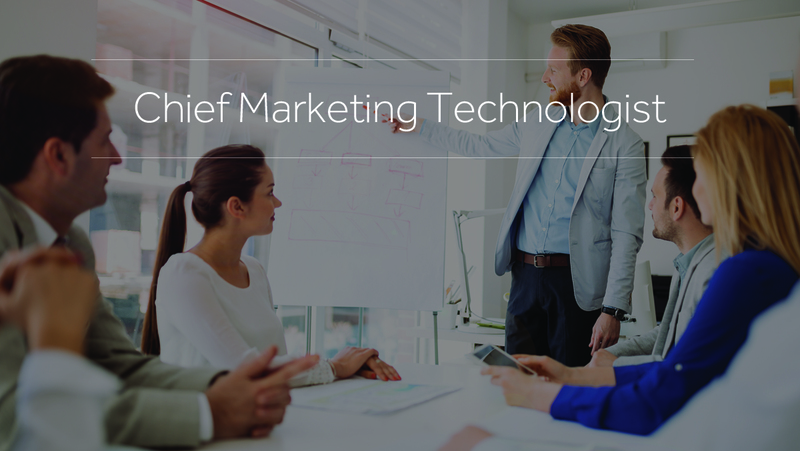 To get insight into why this matters, we sat down with George Anderson, Webroot’s product marketing director for business solutions, and Gavin Gamber, vice president of Channel Sales and Alliances at ConnectWise. What is DNS Protection? Why is it important? Why do ConnectWise partners need this? 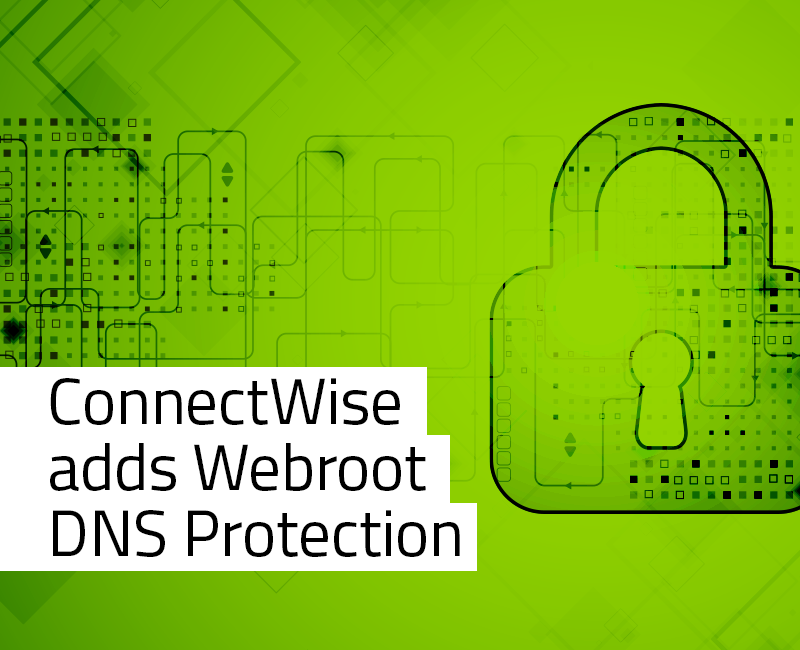 Talking SecureAnywhere DNS Protection with ConnectWiseConnectWise and Webroot chat and provide insight into partnering to offer ConnectWise customers SecureAnywhere DNS Protection. Learn more. Recognizing that digital transformations will never end can be scary, like everything in life is dynamic, it is just another challenge to be faced. Reconhecer que as transformações digitais nunca acabarão pode ser assustador, porém como tudo na vida é dinâmico esse é mais um desafio para ser enfrentado. 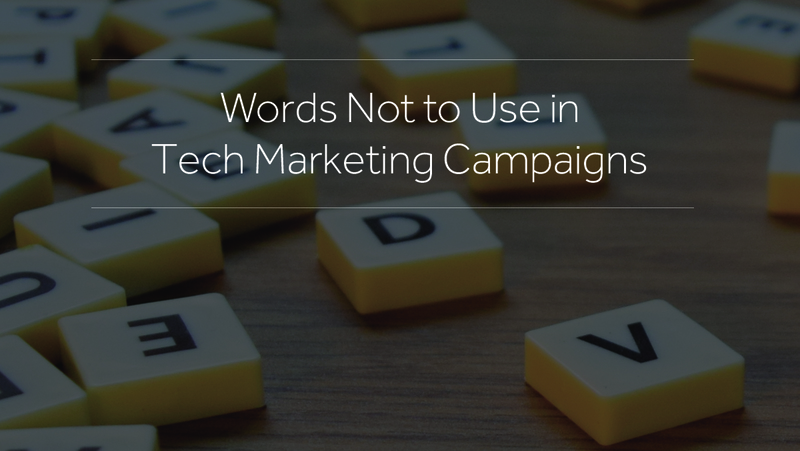 Digital transformation is a journey – just don’t count on ever finishingIt’s a question which has plagued the industry, but Frost & Sullivan’s Karl Whitelock has had a crack at defining the buzziest of buzzwords, digital transformation. "Digital transformation itself is a thankless task. It is one which is constantly criticized and scrutinized, but there is unlikely to ever be a satisfactory answer to the question. Digital transformation is a journey, according to Whitelock. It is the constant pursuit of remaining relevant and avoiding obsolescence." 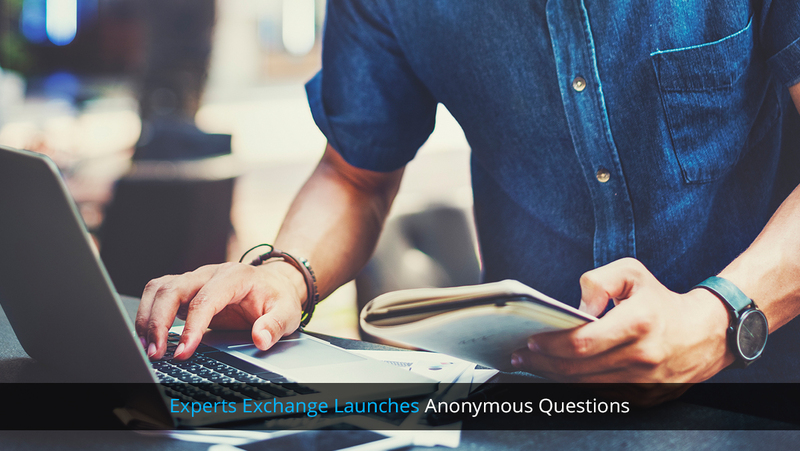 Experts Exchange Launches Anonymous Questions | Community, Experts Exchange BlogExperts Exchange launches anonymous question capabilities, masking identities, for Premium Members, Team Accounts, and qualified experts. Shaun asked me who are some budding writers here at EE that he should follow. I obliged his request and showed him some members who write articles. Check them out. 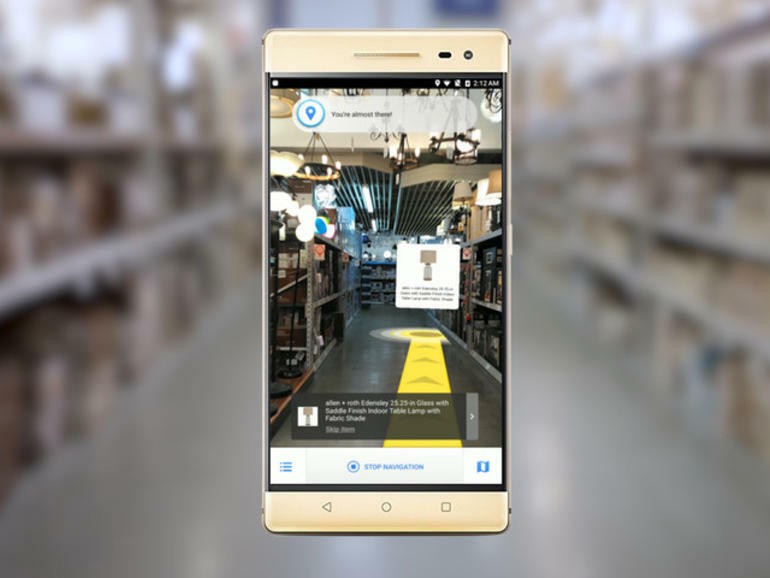 How Lowe's is using AR and Google Tango to help customers find products faster - TechRepublicSmartphones enabled with Google's Tango are being tested in two Lowe's stores to improve store navigation. Find out how this fits in with bigger AR plans for the enterprise. I sincerely hope (and believe) that we'll be able to get away from the current situation of people constantly looking at their phones. For AR to really live up to its full potential, we'll have to have it in some way that doesn't involve looking down at a phone screen (since, as Juana noted, you still have to interact with the world and a mobile phone makes that terrible!). But take a look at how Snapchat is working on their glasses and have tried to apply some decent style to it. And when you consider that Apple has been dropping tons of hints about seriously getting into AR, I imagine we're getting very close to good wearable solutions. And perhaps one day, we'll get to have a direct brain interface. Elon Musk is already on it! Follow Lexie Lu if you enjoy articles about marketing, web design and graphic design. She writes some great articles! Click her profile and Follow. Her articles are also listed there under 'Activity'. Lexie Lu on Experts ExchangeLexie Lu is a member of Experts Exchange, the #1 Technology community on the internet.